Der TR KC ist integrierter Mikrofon-Tischst?nder der Colette-Serie, der in H?he und Winkel einstellbar ist. Der TR wird mit einer MK-Kapsel betrieben. Das Ende des 2 m langen Kabels wird an einen Mikrofonverst?rker (z.B. CMC 6) angeschlossen. 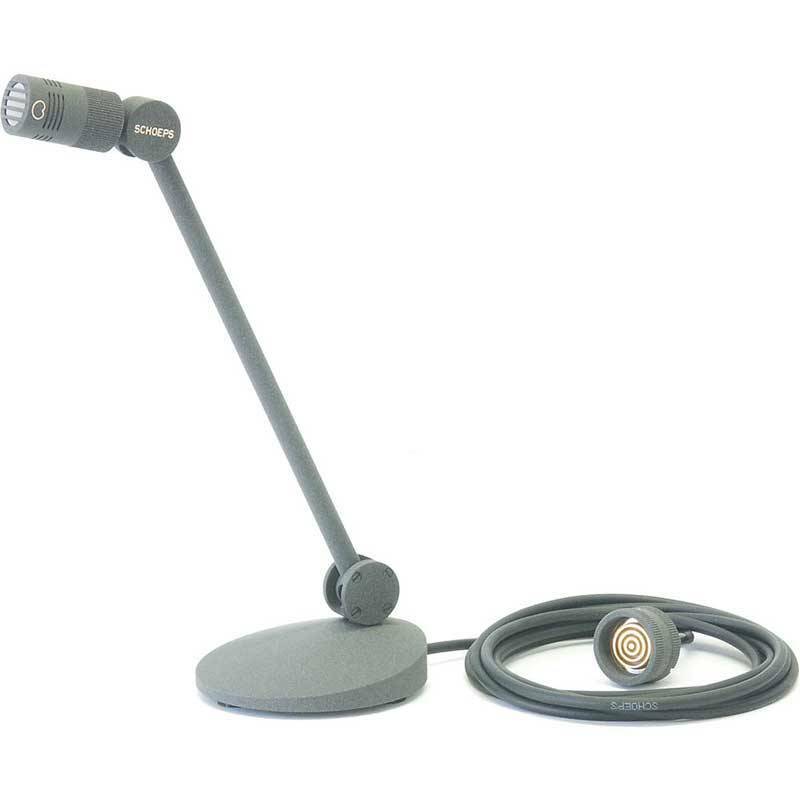 The Schoeps TR200 KC2G Adjustable Active Desk Stand can be easily adjusted in height and angle, thus offering an aesthetically pleasing alternative to gooseneck microphones, which are often twisted into awkward shapes. The permanently attached 6.6' (2m) cable is brought out at the base of this microphone desk stand. It can be connected to any CMC, CMD, or M 222 amplifier of the Colette modular system.